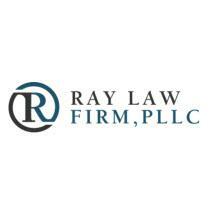 At the Ray Law Firm in Chattanooga, Tennessee, we offer a wide range of business-related legal services in order to help you with the important and complex legal issues affecting your company and your life. As a small law firm, we provide the same level of sophisticated counsel and support found at larger practices, but we are able to keep our overhead low so that we can deliver the top-notch service our clients deserve at affordable rates. Over the course of our history, we have earned a reputation excellence in legal service locally and nationally, and we have received numerous positive reviews and referrals from satisfied clients. For several years in a row, our firms has been given the highest rating possible from professional evaluators such as Martindale-Hubbell and Super Lawyers. To find out more about how the Ray Law Firm can best serve your company, we invite you to contact our law office or visit our websiteto schedule a consultation concerning your matter.